My favorite resource for assessing phonemic awareness skills is the PADI (Phonemic Awareness Diagnostic Inventory) published by Covenant Education Services. Bill and Kristen Eckenwiler created an entire line of diagnostic reading assessments and make it available through their business, The Struggling Reader. These materials were created to help parents assess their own children, so specific reading deficiencies could be identified, then taught. The PADI can be used to assess a young child’s phonemic awareness knowledge whether or not they are struggling in reading. I love the fact that the Test and Teacher’s Manual (or Activities Book) go hand-in-hand. Each of the 21 skills are numbered accordingly. If my child needs to learn skill 9, 14, 17, and 21, I turn in the teacher’s manual to skill number 9 and select the activities I want to do with my child. Fabulous! Here is their description of the teacher’s manual…. Some of you asked how to assess your older child to find out where they are lacking in their skills of phonemic awareness. This is the best resource I know. For those of you with preK-2nd graders, this resource will help you keep track of the phonemic awareness skills your child needs to have. Check out this great resource and the other reading assessments the Eckenwilers have created at www.thestrugglingreader.net. This question was asked several times last week. 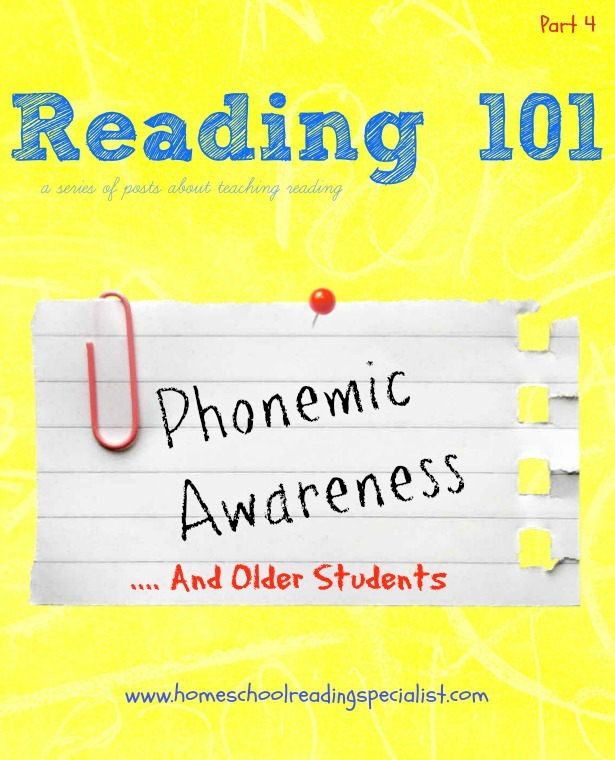 Older students who lack a firm grasp of phonemic awareness need to be taught these important skills or have a thorough review of them until mastery is achieved. The same things you teach to a young child can be taught to an older child as well. Remember, it’s all done orally, so there are no “kindergarten” texts or worksheets to make them feel badly for having to review or learn these foundational skills. I mentioned in the introduction that phonemic awareness activities are a big part of an intervention plan for those diagnosed with an auditory processing disorder. 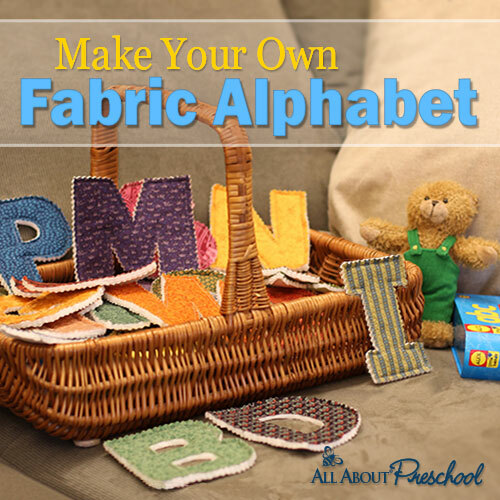 These activities are for any age. Though maximum benefit is achieved by learning these skills early on, they will help a struggling reader at any age. 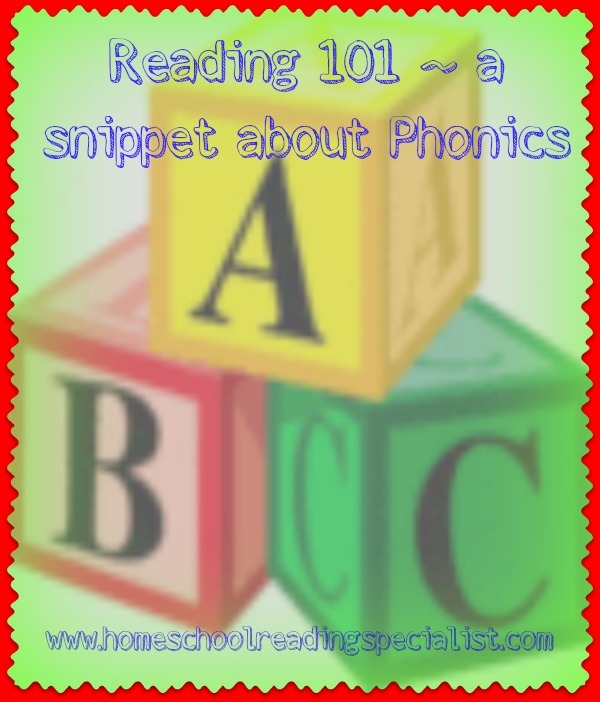 The next post in this series will address how to assess your child’s phonemic awareness skills. Stay tuned!